Home Commission Election India Election Commission of India launches Voter Verification and Information Programme. Election Commission of India launches Voter Verification and Information Programme. 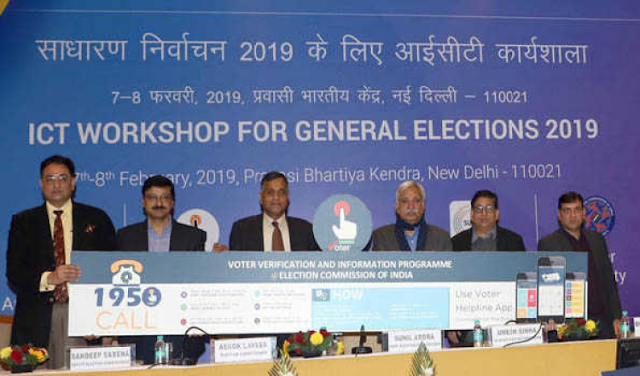 The Election Commission of India has launched a Voter Verification and Information Programme (VVIP) for citizens for verifications of their names, new registrations, changes in the voter details and corrections in the Voter Id Cards for the upcoming General Elections 2019. ECI has enabled various channels for this VVIP programme. ECI has also set up Contact centers in all districts across India. 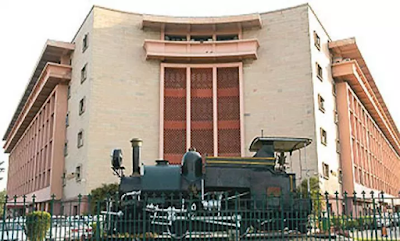 The Voter Helpline number is 1950. The Contact Centres are equipped with latest information and telecom infrastructure to help the callers. Speaking on the occasion Election Commissioner, Sh. Ashok Lavasa said that the strength of technology is to make it easy for use by all. He exhorted those attending the workshop to imbibe and in turn explain extensively to all. Sh Lavasa reminded the participants that the central theme of ECI's endeavors are to make Elections more inclusive. With use of Apps, prompt responses should be ensured as citizens demand better quality of services. One of the important applications for which training was imparted to all States and UTs was cVIGIL. cVIGIL App provides time-stamped, evidence based proof of Model Code of Conduct / Expenditure Violation, having live photo/video with auto location data. Any citizen can lodge a complaint through Mobile App. Flying Squads then investigate the matter and the Returning Officer takes the decision. The status of cVIGIL can be shared with the cVIGIL complainant within a specified timelimit. A CVigil User Manual and the EVM Management System User Manual was released on the occasion. A new android based mobile app called ‘Voter Helpline’ was also launched today. This App provides convenience to all citizens for finding their names in the electoral roll, submitting online forms, checking the status of the application, filing complaints and receiving the reply on their mobile app. All forms, results, candidate affidavits, press notes, voter awareness and important instructions are available through the mobile app.